We are here to help you with Life Insurance Approval with Nephritis! Have you been declined for life insurance due to Nephritis? Can I Qualify for Life Insurance if I have Nephritis? Yes, most individuals with Nephritis will be able to qualify for traditional life insurance, the type of insurance which requires a medical exam. Severe Case – Acute or chronic cases of nephritis that show poor renal function will automatically get a decline. You may have difficulty qualifying for traditional coverage, but could be eligible for a graded death benefit policy. 1. How many years have you been diagnosed with Nephritis? An acute case that recovers fully from the disease has a good chance to get a “Standard” rating. 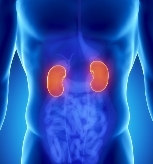 Chronic cases, however, would require a renal function test to determine your health class. 2. Are you aware what the causative agent for your Nephritis is? The causative agent will give an idea of the prognosis of your condition. Bacterial infection may be reversible and with effective treatment may gain full recovery. Autoimmune mediated Nephritis, on the other hand, has a poorer prognosis because of its irreversible nature. The best rating you can have for this is at “Mild Substandard” or “Medium Substandard” rating. 3. Do you have other conditions that may trigger Nephritis attacks? These cases may include lupus, kidney stones, and frequent UTI or throat infection. Presence of these risk factors may get you a “Medium Substandard” rating or even a decline. 4. Do you have regular check-ups with your nephrologist? Regular visit to your doctor is very crucial because incidents of infection and extent of kidney damage will be monitored frequently. Good control of the condition may get you a “Mild Substandard” or “Medium Substandard” rating. Recent laboratory and diagnostic tests include regular urinalysis exams, urine culture, X-ray of the kidneys, urinary and bladder or renal function test such as 24 hour urine collection. These are the best ways to assess your actual renal condition that will give the appropriate rating. Nephritis, also called pyelonephritis is a chronic infection of the nephrons in the kidneys caused by bacteria or as a result of an autoimmune disorder. The disease can be acute or chronic depending on the severity of the infection. Symptoms include high grade fever and chills, nausea, vomiting, abdominal pain, back pain, muscle aches and pains and sometimes diarrhea. Nepritis can also be diagnosed with laboratory findings that show high leukocyte and pus cells in the urine. It may also show increased RBC and cast cells.